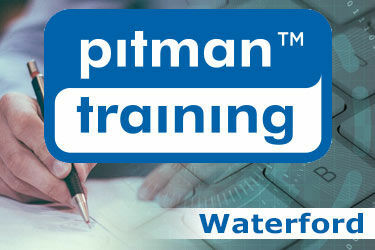 Pitman Training Waterford provide a wide range of “job-specific” courses in areas such as Secretarial, Computers, Accounts, Business and Personal Development. The Pitman career enhancing Diploma Courses are career enhancing, whether you’re climbing the career ladder or want a complete career change; a specialist Diploma from Pitman Training Waterford will demonstrate that you’re a professional at the top of your game and worth every penny. Pitman Training Waterford offer a flexible style of training which allows you to choose lesson times that suits your busy schedule – day, evening and Saturday times available. You can even start a course at any time (the sooner you start, the sooner you’re qualified). The wide range of training options caters for both private individual students and corporate clients.